BitScreener is a finance-focused unified platform of cryptocurrency and stock tracker powered by blockchain. It integrates data of separated spaces of stock and cryptocurrency into a single platform, allowing traders and investors to track their investments across the domains seamlessly. At the same time, writers and researchers can contribute new content to the system for rewards. BitScreener leverages the blockchain incentivization mechanism for user engagement and content quality. The visualization tools of the data subsystem support writers to create new content easily within the platform. Once published, the newly generated content is transparently evaluated by the community for rewards. 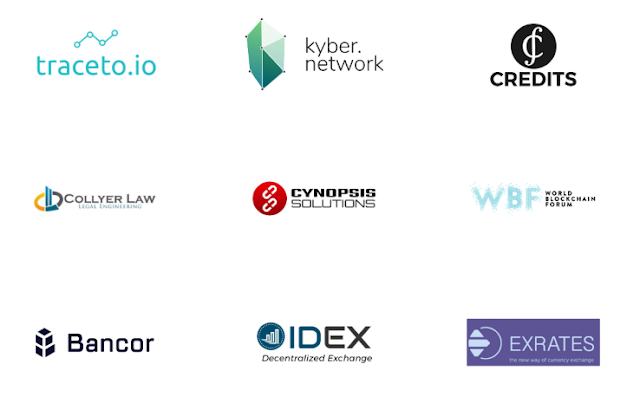 The two subsystems data and decentralized content of the system are weaved together, making BitScreener a unique ecosystem evolving over time. BitScreener aims at tracking 2000+ cryptos, 100,000+ stocks and thousands of other equities around the globe in real-time for its community. Finance is considered the most important sector for the functioning of the world economy. Distributing accurate information in real-time to investors, traders or financial professionals play the key role in making right decisions, which might affect the future of organizations. The current financial content providers have several shortcomings in providing quality content to their communities. Benefits and interests of the service providers are the designers’ goals, putting aside their users. The media delivers information to primarily accommodate the perspectives of the owners, editors or authors, with limited approval from users or without getting reviews from the viewers. According to the 2016 Gallup News poll on trust in the media, only 32% of Americans said they trust the media, declining from 40% in 2015. The report also said that the key factor of the deterioration in trust was biased and fake news. As an example, Fox News – an American basic cable and satellite television channel, has been the subject of several controversies and allegations on biased news coverage. It is well-known that social platforms retain the revenue to their shareholders without sharing with their users. Popular financial forums such as BitcoinTalk or TradingView1 mimic the Facebook and Twitter business models for generating revenue. There is no difference in benefit sharing – they get most of their income by selling advertisement or monetize their user information. For instance, BitcoinTalk – the largest cryptocurrency online forum, has more than 30 million posts on millions of topics created voluntarily by nearly 2 million free members worldwide. Despite significant changes, most of the existing financial data systems have not matched with the readers’ needs. Users have very poor experience in controlling over the content or reflecting their views. For example, Finviz2 and CoinMarketCap only provide stock charts or crypto quotations with a very limited interaction between the systems and users or among users. Users are hardly giving feedback on the information on those websites. 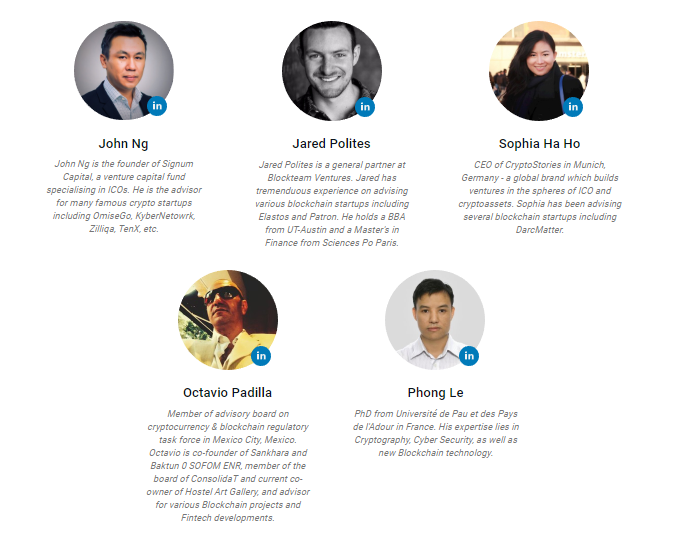 BitScreener is an innovative financial ecosystem using blockchain-based incentivisation in order to solve the problems of (1) unfair profit sharing, (2) biased information, (3) fragmented financial data system and community content system, and (4) fragmented stock and crypto domains as mentioned above in the financial data and content delivery. BitScreener integrates several advancements of the existing content delivery and crowdsourcing systems for finance field with a focus on economic incentives. Such fusion is implied in Fig. 1. 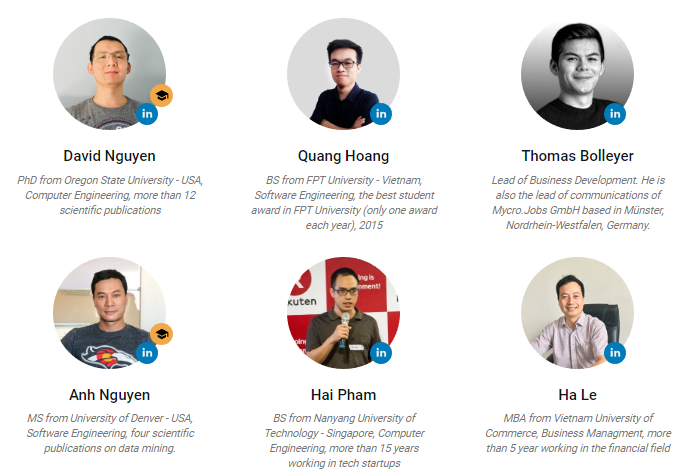 The Bitscreener ecosystem is a community-generated financial content system that utilizes blockchain-based rewards, in order to improve the fairness among various parties. The system will evaluate certain user’s social actions, such as writing a well-researched article, editing a post, or upvoting/downvoting a piece of information. Upon evaluation, these actions are later translated into points (BSP) depending on how their actions benefit the community. The financial data subsystem includes the data collector, the data processor, and the informing unit. The data collector extracts the trading data which is normally the open price, close price, high price, low price and volume of the traded equity and the quality is normally defined by the delivery frequency, latency, format, reliability. For cryptocurrencies, the data collector can get data directly via open APIs of the cryptocurrency exchanges such as Binance, Bittrex, or Poloniex. For stock exchanges, the data can be bought via the financial data vendors such as Bloomberg, Interactive Data Corporation, or MorningStar. 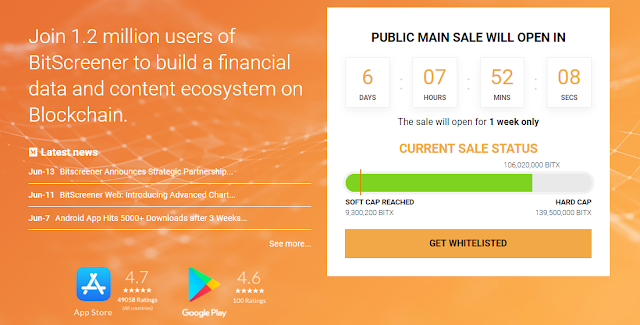 Like any other types of utility tokens that are popular in gaming portals, BITX can be used to purchase advanced features in BitScreener Ecosystem. For example, instead of using fiat money to unlock the real-time price movement notification (alert) on our iOS app, users may use BITX to subscribe to those features. As the ecosystem grows, more advanced features will be added. A financial professional, for instance, can produce a high-quality research report of a financial instrument and sell it to interested traders or a trader may exchange with viewers a finance-focused tutorial for BITX. In other words, users spend BITX to buy knowledge from other contributors. To this end, BitScreener is a marketplace for knowledge on finance where buyers and sellers exchange their ideas through underlined BITX. BitScreener Ecosystem is a feeless system which motivates its community to continuously contribute the content to the system. Despite feeless, only good quality content which is upvoted by the community can earn rewards over its lifetime. In other words, users eventually see only good content which benefits its community. Cryptocurrency is a fast-growing financial area. Coupled with equity markets, cryptocurrency creates a new and fascinating space and opportunities for financial data processing and content delivering businesses. BitScreener, as a pioneer in crypto data processing, envisages to consolidate the global financial data delivery and crowdsourced content and fuse the cryptocurrency market tracker and the equity market tracker. It leverages incentivization of blockchain-based tokens to present a new earning paradigm to financial content creators, reviewers, and readers in ways that have not existed within the current platforms.